Home automation refers to the use of technology, like Z-Wave, for the automatic and intelligent control of household features and devices. An automated home is also known as a smart home.  Home automation can unify all your devices and provide numerous comfort and safety benefits. It can assist in reducing your home's energy footprint, allow you to control your home whilst you're away and carry out complex tasks. These tasks, known as scenes, can activate many devices at once and may be initiated through dedicated internal controllers or from a smartphone, tablet or computer. They can also be triggered intelligently based on specific conditions and events; such as when a door is opened or when the ambient temperature exceeds a certain threshold. Have you ever been late to an appointment because you had to race back home after forgetting to switch off lights, computers, air conditioners or whatever else is a part of your usual "leaving home" routine? Well, with a smartphone connected to your home automation system, you can switch everything off, lock the doors and activate your security system with the push of a single button, from anywhere in the world! Learn more. Achieving this level of home control, even just a few years ago, was expensive and cumbersome. Most solutions are based on complex systems requiring costly and specialised integration. However, through the advent of new DIY wireless technology, the costs and complexities normally associated with traditional home automation systems are significantly reduced, making it a viable option for everyone.